A social media plan is basically a road map to your social networks that outlines what you are going to share, when you’re going to share it, where you’ll share it, who you sharing it with, and how you will share it with them. It is a well crafted plan that incorporates all of the social platforms you currently use (and ones you may be thinking about). And it ensures that the content you share on each platform matches its purpose. 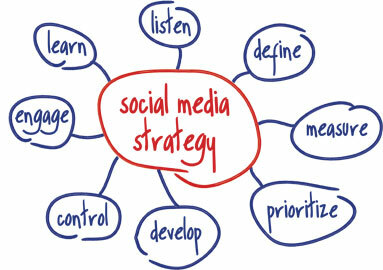 A social media plan can highlight the key messages that align with your business goals. It can keep your content sharing relevant and meaningful to your business and its target markets. Why do you need a social media plan? You don’t have to be the “jack of all social media”: With a social media plan, you know where you need to share content and how to do it effectively so that you don’t need to be on every social network. Your presence will be on the most effective platforms for your business in order for you to reach your target markets. And despite what people say, you don’t have to be on every platform, or even on Facebook or Twitter. Each platform has a purpose, and not every business needs to use that purpose. It works within your resource capacity: If you have limited resources, such as time, a plan keeps you on track and focused for when you dedicate time to social media. There is no more wasting time wondering “what do I share; should I do a blog post; maybe a cool quote would be good – okay, what quote should I share…” because you have a plan. It tells you how much time to spend per day/week in order to share the content you need in order to meet your business goals and objectives. Creative blocks no more! A social media plan outlines what you are going to be (or should be) posting about on each social platform. A key element to a plan is an editorial calendar, which lays out what topics to cover, when it should be covered, and where you should share it. It also highlights your key messages to keep you on track. And because life is just simpler when you have a plan. Am I right?